Alita: Battle Angel is a film about an AI girl in the 25th century who attempts to learn more about her past after she loses her memory of it. While visually stunning, the movie represents the Hollywood norm of failing to take risks, a major issue with big-budget blockbuster films in the last decade. It’s no secret that the majority of popular movies in recent years are based off of preexisting concepts and characters or are sequels to already popular films. Because many majorly successful franchises, such as Star Wars, already exist, the industry does not often justify spending hundreds of millions of dollars to fund original movies when they can just continue to fund movies for already popular franchises. In other words, they have no reason to take any chances with something new because it’s easier to invest in a movie that they know will succeed. Alita was set up to be the start of another huge blockbuster franchise because of its stunning graphics and fresh concepts but will fail to do so because it lacks a solid plotline or script and fails to grab the viewer's attention. The director is successful in creating the barebones structure required of a movie; the premise and characters are introduced and the dystopian setting is portrayed realistically and beautifully. The movie has innovative visual effects that the huge team of artists and visual technicians use to bring the city to life, making it feel as if the viewer was standing in it. 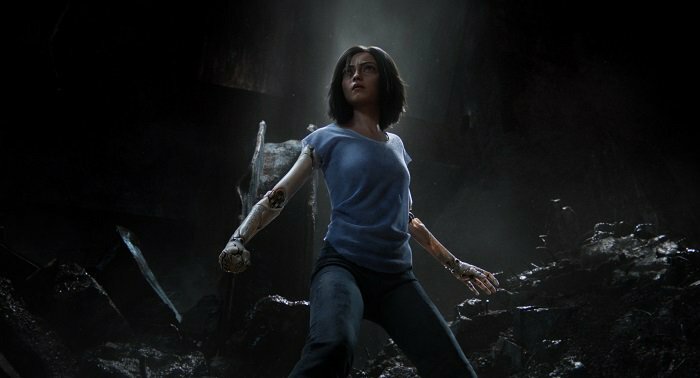 In addition, the incredible and versatile acting of Rosa Salazar, the actress who portrays the protagonist Alita, combined with the hyper-realistic motion-capture technology perfectly fools audiences into forgetting that her character is CGI. Does this movie need a sequel? Does it deserve a sequel? There really aren’t many films out there quite like this one. Eternal Sunshine of the Spotless Mind radiates every single emotion and feeling you could possibly dream up of. Joel Barish and Clementine Kruczynski were perfect for each other but after a painful breakup, she undergoes a procedure that will erase him from her memory. Heartbroken, Joel does the same in spite but quickly realizes that he has made a mistake as he slowly begins to forget. It’s a fantasy within a fantasy, portraying the realization of the ups and downs of true love; it submerges you into heartbreak and what it really means to be devoted to somebody. Every single scene was shot with a carefree and whimsical tone that at every moment, had a joyful feeling no matter how melancholy it got. In the end, through it all, it reminds you about what is most important: you should forever hold whatever is in your heart dear. You could forget about people, but the feeling that your heart exerts will stay with you forever, even if you’re unaware of it. 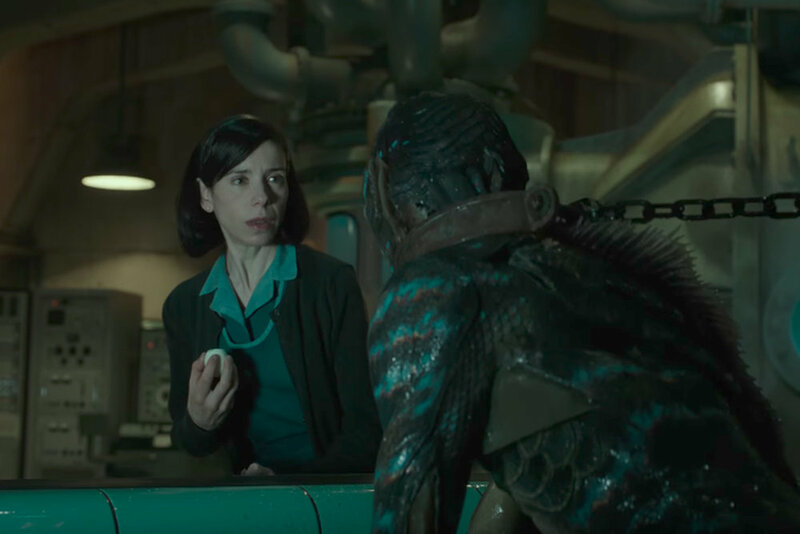 “The Shape of Water” provides a stark contrast to any other movie in theatres today. Its plot centers around a woman and her strange relationship with an aquatic creature, making it seem almost like a fairy tale. Its originality is refreshing after having seen numerous movies based on books that are completely uninspired. Having seen other movies by Guillermo del Toro in the past, I had no idea what to expect from this movie because of the widely varying types of movies that he had previously directed. After having seen it, I want nothing but to go back to the theatre to re-watch it. The unparalleled visuals and music of this film reflect the time period that it is in, creating a new – and very intriguing – atmosphere. Set in the 1960s, the costumes and settings create a nostalgic ambiance that fit the time period very well. The characters spend much time watching old-fashioned television and listening to jazz, submerging the audience in this world. It does an effective job of introducing the viewers to new and different concepts, which is necessary for the people that were not alive during that time. As someone that has grown up in the 21st century, I have been completely unfamiliar with life in the mid-1900s. With the inclusion of tensions between the Russians and Americans during the Cold War Era, the obvious homophobia and racism portrayed throughout the movie, and various struggles regarding new technology, the movie was completely immersed in its respective time period. I completely understood the entire story, regardless of the fact that I had been unacquainted with the setting and time period of the movie before watching it. A certain musical theme was repeated numerous times throughout the movie. This theme did not exactly fit into the genre of music from the 1960s, making it feel distant from the plot. The theme seemed timeless, which adds to the romantic and fantastic spirit of the movie. It also provided continuity throughout the movie, showing that while everything was changing, something seemed to remain the same. Though short, the melody was memorable, and I left the movie theatre with it playing in my mind. I am a big fan of fairy tales because the force of good always seems to prevail. The end of “The Shape of Water” communicated the message that true love can be found anywhere. It also showed the importance of acceptance, even to animals or other living things that may not be exactly the same as humans are. This is much needed, especially in a time lacking universal tolerance. I came to the conclusion that this film was not only exceptionally pleasurable to watch, but it left the audience with many things to think about. I am glad that I was able to watch it while it was still in the theatres, and I cannot wait to see it again. Having worked with the likes of Julianne Moore, Juliette Binoche, and Steve Carell, nowadays it’s hard to imagine that the mysterious and aloof Kirsten Stewart once made her debut to fame with the Twilight franchise. Of course, that’s all in the past, but in Olivier Assayas’ newest film, Personal Shopper, Stewart tips her hat to her supernatural past. I had the pleasure to see the film’s opening night at IFC Center, which hosted a Q&A afterwards with the director, Olivier Assayas. Lining up with a bunch of movie enthusiasts and strangers in frigid weather is definitely not how most people imagine spending their Friday night, but I found the experience enjoyable and charming. The cozy and intimate theater set the stage for the ghostly dramatic thriller. Assayas begins to fabricate his drama by placing the audience in the outskirts of Paris. A beautiful but slightly run down mansion is in the background as we see a young woman hugging her friend goodbye. Night falls as the woman sits in the dark, pierced by moonlight, and waits. Thus in such mysterious circumstances, we are introduced to Maureen Cartwright. Maureen (played by Kirsten Stewart) is a personal shopper by profession, but also considers herself a medium. She is waiting for a sign from her recently deceased brother, Louis, who strongly believed in the spiritual world. Maureen visits the mansion formerly owned by her brother to give him a last chance to communicate with her, but also to reassure her friend and his widow, Lara (Sigrid Bouaziz) that the house is cleansed spiritually. 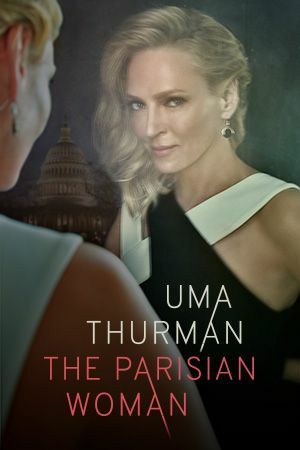 Typical of all good thrillers, however, Maureen slowly finds herself infringing on the spiritual world and digging deeper into the darkness of the fashion underworld. Kirsten Stewart does a remarkable job of balancing the cold exterior of Maureen and her inner uncertainties. Stewart conveys the very image of a woman who seems to be only passing through life. She moves through the city of Paris much like a spirit herself: always on the move and lurking in the shadows. In this sense, Kirsten Stewart seems to instill a sense of otherworldliness and deeper meaning within the film. However, Stewart does lean heavily on the cool and edgy persona that seems to distract from the ulterior motive of the film. The emotionless glares and muttered words at times seem a bit cliché. Stewart does manage to successfully lead the audience deeper and deeper into the strangeness of the situation with only a hint of fabrication. The rest of the cast also supports the film well, as Maureen’s differences are highlighted within each unique encounter. 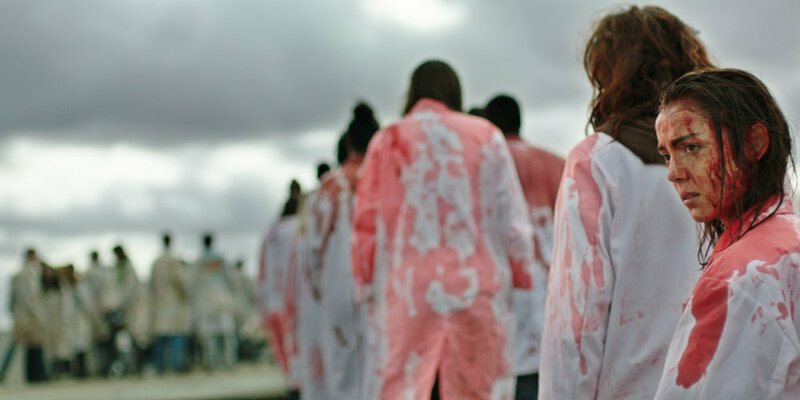 Sigrid Bouaziz plays around with the character of Lara, who at first seems to be a caring woman, but then complicates the emotional storyline in an unexpected manner. The unison of the ensemble works well together, as they create a melancholy but intriguing film. Many of the film's unique stylistic as well as technical choices were strongly influenced by Olivier Assayas. He revealed during the Q&A session that he simply fell in love with Kirsten’s method of acting after working with her on “The Clouds of Sils Maria” and wrote the screenplay with her in mind. His initial premise for the film was his curiosity surrounding the séances of the early 20th century. He modeled the spirit that appears in the film after photographs taken by spiritualists of the era. His fascinating curiosity with spiritualism was certainly evident through out the film and added another layer to the piece. Assayas also had a unique way of working with information. There are several portions of the film that are portrayed in an ambiguous manner, which he insists he does purposefully. Assayas stated that he wanted for the audience to fabricate their own stories and found it much more compelling to leave certain elements of the story unknown. His work with Kirsten as well as his innate curiosity won him the “Best Director” award from the “Official Competition” Jury at the 69th edition of the Cannes International Film Festival. I watched the film with great enjoyment and intrigue, but at times it felt either a bit too melodramatic or lagging in plot. The topic of the film is quite engrossing and it was interesting to see how the theme of uncertainty and fear played through out the movie. I was captivated by it, and walked out of the theater with a certain sense of enlightenment. The film certainly expresses a unique voice and an interesting storyline; however, it does not carry within itself an intense emotional force. The film is an absolute delight to watch, and is perfect to see on a cold Friday evening. Author Julie Scelfo discusses the cultural and economic diversity of New York City and the women who deserve the credit for it. This is an anxious but important time for women throughout the United States of America. Nearly 100 years after women got the right to vote, the country came within a throwing distance to having a female president. President-Elect Donald Trump has repeatedly demeaned women and has been accused of assaulting several women. Many wonder how and why he was elected. Scelfo thinks it’s the perfect time to reflect on the pioneering, often little-known women who have worked ceaselessly to make the city in which we live. Her book might just inspire young women, and young men too, to write the next chapter in our city’s history. It certainly inscribes these driven women into previously male-dominated history. In a recent email conversation, LagMag asked Scelfo about her inspiration for the book, the recent election and why it’s more important than ever to be aware of the power and importance of pioneering women and their allies in 2016 and beyond. Gertie-Pearl Zwick-Schachter: Some of the women you profile, like Gloria Steinem and Tina Fey are well known. But others, like Jane Grant, a feminist New York Times writer, and Julie Richman, a rare 17th century female high school graduate and a dedicated educator, are names I’d never seen before. Why haven’t I learned about these women in school or read about them? Juie Scelfo: For centuries, human history was recorded primarily by males, and it primarily reflected their perspective. GZ: How did the recent presidential election influence your book? JS: The outcome of the recent presidential election did not influence my book as the book went to press back in June. However, Hillary Clinton's historic candidacy did cause me to think more about all the social shifts that came before. Just 100 years ago, American women were denied the right to vote! Decades of work by women – and some men – to achieve suffrage. Several other women have run for national office prior to Hillary Clinton's candidacy – including Victoria Woodhull, Shirley Chisholm and Gerladine Ferraro--and all of them were from New York. GZ: What was your goal in writing this book? What would you like to inspire in a reader? JS: I hope the book inspires readers to want to learn more about the women who helped shape history, and I also hope it helps them realize historical narratives are imperfect: meaning no one history can possibly tell the whole story of all the human and social complexities. GZ: In the book, you quote Elizabeth Blackwell, saying: "I understand now why this life has never been lived before. It is hard, with no support but a high purpose, to love against every species of social opposition." What do you believe gave these women the strength and courage to be the first of their kind in whatever field they chose? What do you think helped them to continue on their course despite the difficulties? JS: Most of these women were driven to serve others. Either they were artists with a gift that had to come out, or they were big-hearted souls who really wanted to make the world a better place in some way. So no matter how hard things got--and they sure got hard for Susan B. Anthony, Nellie Bly, Dr. Blackwell, etc.--they kept focused on their goal of helping others. GZ: Why do you believe it has been so difficult, and has taken so long, to have our first female president? Why do you think we didn’t elect our first female president this year, when we came so close, and why did our country instead choose to elect a president who has made sexist and misogynistic statements? JS: I think that a primary reason for misogyny, and racism, and most other forms of hate is...fear. I think that one way that humans give themselves an identity is by defining what they are NOT. So while it can be difficult to define masculinity, there's centuries of describing men as not-female; not-feminine. Think also of the language of race: white people used to call African-Americans "colored" (which means not-white). For men who had built their identity on being in control and dominating decisions, it can be very difficult to accept that women are equal. However, there are indigenous societies where this is not the norm, suggesting that these beliefs are not inherent but acquired. GZ: In your section about Gloria Steinem, you describe her as having an “awakening of her feminist consciousness.” Do you believe we’ve seen any modern day figures have similar awakenings, specifically in light of the recent election? JS: Many. In a strange way I think Donald Trump has been very helpful for feminism, as he took sexism and misogyny (which is often hidden and unseen) and made it public in a very startling way. I think he has made many, many more people aware of the existence of these feelings and behaviors. GZ: Why did you include a section about female crooks? People do not view crooks as inspiring, because they have an extremely negative connotation in our society, and I believe rightly so. Why did you choose to include this chapter? JS: While I don't think the CROOKS are inspiring, I do think that crime is a real part of NYC's history, and also a real part of how disenfranchised people cope with their circumstance. Several of the criminals were driven to their deeds out of a need for work; and the smuggling of immigrants by Sister Ping continues to be seen by many as heroic, as she helped Fujianese escape desperate poverty. Another goal of the book is (hopefully) to help readers reconsider how they define things, or what labels they give to people and behaviors. The chapter on CROOKS raises precisely the question of whose perspective matters most. GZ: What was your inspiration for this book? JS: The idea for the book originated with the executive editor of Seal Press, which is a small publishing house in Berkeley California that publishes only women authors. She noticed an appetite among readers for more information about important women, and had seen the work of illustrator Hallie Heald, and decided that a pairing of portraits and biographies could make a beautiful and inspiring book. GZ: I'm sure there are many more important women who didn't quite make the cut for your book. What criteria did you use to choose the women that you featured? JS: This was one of the most challenging parts for me. My selections reflect my idea of what New York City is. All of the women featured in the book played a role in making an important part of NYC. In other words, if these women and had not done what they did, NYC would not be the same place. After recently watching several movies on Netflix, I began to question myself within each genre, “have I seen a movie better than this one?” This was not a rhetorical question, as I posed it to myself seriously. I found the “yes” to answer my question within the romance genre: The Theory of Everything, which stars the Oscar-winning actor Eddie Redmayne and the talented actress Felicity Jones. The movie itself is categorized as a romance and biopic--where Eddie Redmayne portrays the young and old Stephen Hawkings. Of course, movies tend to not be as reliable when studying a certain topic (in this case, Stephen Hawking’s life). There must be some scenes in the movie that were not included in his life or the autobiography of his first wife, Jane Wilde, which the movie is based on. However, watching this movie required several boxes of tissues, and a supply of hearts (to replace the ones that shattered like glass pieces in every heartwarming or depressing scene). I also enjoyed the movie thanks to the acting skills of the British main actors, the on-screen chemistry, the setting, and the cinematic effects - down to everything beyond the theory of making a movie with love, dedication, and devotion. One of my friends, who rarely ever watches romance movies (since she prefers watching action, thrillers, and horror), mentioned to me that she was “...dying to watch this one specific movie [The Theory of Everything]”. I was fully surprised with this comment. I looked at this movie from her perspective and realized what was so attractive about the movie. It tells the story of a genius, a man who is disabled, whose only option is giving up--but he doesn’t. Stephen Hawking embraced the situation, even though it severely depressed him. He forced himself to run his own errands and stand up with his own might and hard work. It is a movie that touches beyond the audience’s heart - it touches the soul. Whether you enjoy romance movies or not, ANY living human being with a working heart will enjoy it and watch it over and over again. What is the theory of everything? What drives the theory of everything? Maybe it’s the pursuit of happiness... or maybe it’s something else that individuals can take away from this movie for themselves. It is the month of May, which means that we are approaching the one-year anniversary of the death of Robin Williams, one of the most talented and hilarious comedians of both stage and screen. Known for his versatility and brilliant improvisations, Williams tragically committed suicide on August 11th, 2014. I have cherished (and will continue to do so for years to come) many of his films targeted towards families, including Aladdin, Jumanji, Night at the Museum and Mrs. Doubtfire. Williams breathed life into these films, providing energy and entertainment for children without ever condescending them. However, shortly after he passed away, I realized that I had only made a slight dent in his diverse filmography. I started to obsessively watch his films with higher ratings, including Good Morning Vietnam, Good Will Hunting and the unsettling One Hour Photo. Several months later, I came across one film on his IMDB page that I had never heard of before: The Fisher King, directed by Terry Gilliam in 1991. Interested in the website’s synopsis, I decided to rent it from my library (and no, I still don't have a Netflix account). Upon viewing the film, I grew fascinated by it is simultaneous creatively inspired concept and overstuffed, messy execution. The film’s flawed protagonist is Jack Lucas, a blue-collar radio jock played by Jeff Bridges. One evening, he insults an audience member on air to the point where he commits mass-murder (and ultimately kills himself) at a restaurant. As a result, Jack is wracked with guilt and becomes depressed and suicidal. Several years later, he is saved from a group of murderous muggers by Parry, a schizophrenic homeless man played by Robin Williams. As Parry and Jack develop a reluctant friendship, Jack discovers that Parry’s wife was a victim of the murder that he inadvertently caused. Throughout the film, Jack attempts to redeem himself through acts of kindness, including taking care of and finding a date (played by Amanda Plummer) for Parry. This film has several commendable elements, particularly its performances. Jeff Bridges adds a level of nuance to Jack, who on paper seems like a one-dimensional character. Bridges allows the audience to empathize with the misanthropic, often inebriated Jack, and maintains a consistently subtle performance. In addition, he has charming chemistry with his romantic interest played by Mercedes Ruehl. Both Bridges and Ruehl have a camaraderie that makes them watchable, despite Ruehl’s irritating Queens drawl. Robin Williams is wonderfully whimsical as Parry, and contributes a devoted dramatic performance along with his well-improvised humor. He makes Parry a compelling and intriguing character, and one cannot help but chuckle at his loud, childlike antics. Films like these often have humorous side characters, and The Fisher King is no exception. The late Michael Jeter, known for playing Mr. Noodle on Sesame Street from 2000 to 2003, is hilarious and oddly endearing as a homeless man gleefully obsessed with Cabaret singing. Jeter, like Williams, was a highly creative comedian and actor, and seamlessly blended loud routines with shadows of depth. Amanda Plummer is equally absorbing as Parry’s withdrawn and awkward love interest Lydia. Although Lydia masks her insecurities with a waspish authority, Plummer makes Lydia a likeable character. In addition, she has charismatic chemistry with Williams, as Parry slavishly adores the reclusive Lydia. Another one of The Fisher King’s highlights is its visual style. Nearly every scene contains beautiful, extravagant and intricate set-pieces. An instance of this is a scene where Parry shows Jack his “home” in the run-down boiler room of his former apartment building. We see Parry’s collection of various objects, including books, tools, papers, and miscellaneous trinkets. They are all arranged in in an almost aggressively unrealistic (as we know that most homeless men do not poetically store their significant possessions in pre-arranged piles) way. However, as the entire movie maintains a fantastical and slightly surreal tone, sets like these work in The Fisher King’s favor. Another element of the film’s visual style I adore is its inventive imagery. For example, throughout the movie, Parry’s depression and repressed memories of his wife dying before his eyes manifest themselves in the form of a terrifying red knight, chasing him around New York City. This is because Parry adores the eponymous Fisher King, an Arthurian legend centered around the protection and use of the Holy Grail as a lifesaving device. Parry, through his delusions, believes that this mythical tale is real, and sees himself as the man who will find the Grail. Utilizing the legend of the Fisher King as a framing device is a creative idea, and adds a level of mysticism to the film. Unfortunately, The Fisher King is not without flaws. The film’s direction is, simply put, uneven--as I have mentioned before, Terry Gilliam, known for directing Brazil and being a member of the Monty Python troupe, effectively directs his actors to enthralling and distinct performances. The aforementioned sets and visual style, though highly idealized, suit the film’s eccentric tone. However, The Fisher King has a running time of two hours and seventeen minutes, which could easily have been shortened to a hundred minutes. Often, it seems as though the film is stalling. Much like Parry and his outrageous and unfocused delusions, this movie invents twists and turns in the form of subplots that only succeed in aggravating audience members. Other times, The Fisher Kingspends too long on segments that are either never referenced again or glanced over for later development (an example of this is a scene where Michael Jeter’s cabaret singer belts out a musical number in a quiet office space and is thrown out). Another flaw in The Fisher King is its lack of pacing. At certain points, the film moves quickly from scene to scene, while at others, scenes drag for several minutes too long, and the characters act absurd for the sake of prolonging such scenes. This often results in jarring tonal (from cloying silly to brutally dark) as well as pacing shifts, and makes for an occasionally uncomfortable viewing experience. The Fisher King is a film that is far from perfect. It is overlong, middling and occasionally suffers from a lack of consistent pacing. However, its stunning performances from a spectacular cast (particularly Robin Williams), gorgeous imagery and set-pieces more than make up for its problematic elements. And Robin? We ain’t never had a friend like you. Never again will I regard fireplaces in the same way. They are no longer simply there to roast chestnuts and provide light for reading – now, fireplaces are all named Calcifer. They have the power to move castles, warm baths, break curses, and warm hearts. In the land of Ingary, where the novel is set, it is well-known that the eldest child of any family is destined to a dull life at home, and to never make their fortune. Our protagonist, Sophie, is the eldest of three sisters and quite resigned to that fate. She quite believes she is not meant for any sort of greatness, which transforms all of her character traits into faults or limitations. Her intelligence becomes dissatisfaction, her courage becomes idiocy, her determination becomes stubbornness, and she hides her beauty behind drear dresses and grey cloaks. Sophie doesn’t get out much – she begins an apprenticeship at her family’s hat shop, and eventually spends all of her time in the back, sewing hats day after day after day. She doesn’t see her talent, and the success of her hats in her hometown of Market Chipping – all she sees is the dismal, every day drudgery of the life she leads. Sophie gradually fades until one day, for a reason unbeknownst to her, the wickedest witch of all of Ingary comes into the hat shop and transforms her into an old woman. This is the moment that flips Sophie’s life on its head. The many events throughout the book after this metamorphosis are a series of discoveries that change Sophie into the woman she’s meant to be. The first discoveries are small: a moving Castle, a fire named Calcifer, and a wizard’s apprentice named Michael. Soon enough, Sophie is meeting new people every day, from a capricious wizard named Howl, to old fisherman, to the King of Ingary, to an animated scarecrow, to Ms. Pentstemmon - Howl’s old professor of Magic. She visits the town of Porthaven, the capital Kingsbury, and a mysterious land called “Wales”. As she discovers these people and places outside of herself, Sophie slowly discovers something inside of herself: self-love, and self-respect. These themes of mystery and discovery are what drive book and make Howl’s Moving Castle a veritable enchantment of a novel. Most people know Wizard Howl, Calcifer, and Sophie Hatter from Hayao Miyazaki’s movie Howl’s Moving Castle, but that fantastical adventure did not spring forth out of nowhere. 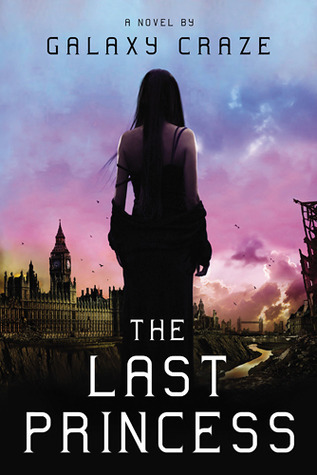 The movie is a loose adaptation of the book of the same name by Diana Wynne Jones (mostly of events in the first half of the book). Ingary is a billowing whirl of colour and industry in both adaptations, but there is a grit and imperfection to the characters of the novel that the movie characters lack. There are other differences: Sophie’s hair is not brown in the book – in fact, it matches Howl’s ever-changing hair at one point. Michael is not a little boy, as depicted in the movies – however, he does have a cloak that gives him the appearance of a man. Sophie does not immediately befriend scarecrow – she and it have quite an interesting relationship. It was these little differences that I relished: they took away from neither the book, nor the movie. They just made each experience a little richer, and a little more magical. Worry not if you’ve seen the movie and fear it will ruin the book – certain elements are beautifully brought to life in the movie, including the interior of Howl’s castle, the field of flowers on the edge of the Waste, and the characters themselves. Nevertheless, the book and movie diverge more than they converge, and in reality feed into each other and make for an even better experience. Written in the pre-Tolkien, prosaic style of English fairytales, Stardust by Neil Gaiman fulfills all expectations of the fictional universe, and exceeds expectations in execution. If you want stars, he’ll give you sparkling maidens fallen from the sky. If you want mountains, he’ll give you a giant who fell asleep one day, who then became Mount Head, Mount Belly, and whose foothills are called the Feet. If you want magic, he’ll give you crystal flowers with properties beyond reckoning. If you want love stories, he’ll give you a man in a top-hat that always fulfills his debts. If you want imagination by the bushel and a wink on the side, read a book by Neil Gaiman. Stardust is the story of Dunstan Thorn’s Heart’s Desire, which produces a series of events that unroll through the unlikely and destined journey of his son, Tristran Thorn. As the narrative unfolds, you learn never to trust a label – a shop-boy may very well turn out to have a swash-buckling, star-seducing heart. Tristran Thorn grew up in the predictable, grey village of Wall, which every nine years is painted with a rainbow of fairy magic as the Market comes to town, and people from around the Worlds come to trade in goods, stories, and enchantments. You see, the seemingly-average village of Wall is actually the border between our world and the realm of Faerie. Tristran is launched into the world-across-the-Wall on a quest to win the favour of his lady-love, Victoria Forester: “the most beautiful girl for a hundred miles around”. He ventures into a seemingly strange world because, as he puts it, “every lover is, in his heart, a madman, and, in his head, a minstrel.” Our hero searches for a star, fallen deep within the borders of Faerie. It is a borderless realm, comprised of every creature and land whose existence has been ‘disproved’ by the scientific ‘authorities’ of our world. There’s an element of Lewis Carol’s Alice in Wonderland to the characters of the land of Faerie, who hide meanings in their turn-of-phrases and embrace the weird and wonderful. Along the way, Tristran discovers that he feels much more at home with the people of Faerie than back in Wall, where his sister Louisa would make fun of him for entertaining the notion that clouds in the distance could in fact be a heard of celestial sheep. In Faerie, however, a ship is a flying vessel, and lightning may be harvested, and a tree can be a port-city. In Faerie, the only precaution you must take when travelling is to look out for witches and not give away your destination. "I was stupid, the official descriptive phrase for happy." are a few examples of things, which with hugs, rebounds, and dollops of time, seem comedic – but in the aftermath of a bad breakup, nothing in the world is funny. Everything is fit for a Greek tragedy. That however, does not make for light, or necessarily pleasant, reading. 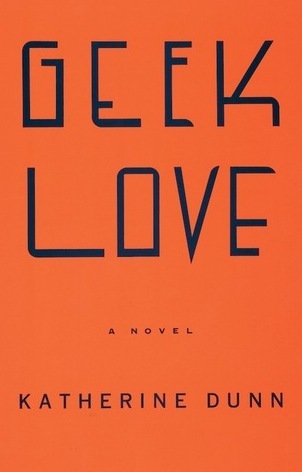 That is where Daniel Handler’s wit comes into play, and makes this novel a success: despite the often dramatic, heart-wrenching, or awkward nature of high school romance and heartbreak, Min’s voice resonates in a witty, dry way, which spins the heavy subject matter in a palatable light. The very title of this book ‘spoils’ the ending: Min and Ed break up. To be honest, it’s to be expected. They’re young – in high school, and very, very different people. Min is an “arty” film-expert, fluently versed in the fictional silver-screen world that Handler created for the book. Ed is the typical leather jacket-sporting, bonfire-frequenting, shot-drinking jock. Yet, as in every relationship or book: you don’t want them to break up. Why We Broke Up is a lengthy letter from Min to Ed, the ex-boyfriend. It’s written, as Min says, with a pen running out of ink, in a coffee shop, next to her best-friend Al. Along with the letter comes a box of memorabilia from the Relationship: rose petals, movie tickets, bottle caps, a match box, a salt shaker… et cetera (which accompany the letter through illustrations by Maira Kalman). Min’s got an “Ed Box”, and she’s giving it back (or more aptly put, flunking it at Ed’s doorstep from Al’s car). Through the Ed Box, Min recounts the “How We Met” to the “First Date” to the “First Kiss” to the to the “First Time”… but also narrates the “First Fight” to the “When We Should Have Broken Up” to, of course, the “Why We Broke Up”. It’s a relationship like any other, and like no other, and that’s what makes it so believable, and thus relatable. If you’re going through a break-up, have ever gone through a break-up, or one day, maybe, will go through a break-up, you should probably read this. It’s honest, witty, gorgeous, and brilliantly executed – complete with almost-real characters, and how it feels to be the youngest couple in a swanky jazz club. It’s the very first day of high school. Charlie is terrified. His older brother has gone off to college. His sister, a senior, has made it very clear that she is not going to babysit him. He hasn’t got many friends… in fact, he hasn’t got any, until his English teacher offers to be his friend, but as Charlie puts it: “If my English teacher is the only friend I make today, that’ll be sorta depressing." Charlie sees this. He sees the people he used to be friends with and sees what has changed them and wonders if they’ll continue to change. Hewonders about his parents’ lives, he wonders about everyone. He sees one of his classmate’s dismay at being called “Nobody” when everyone else just carries on with the joke. He sees, he sees, he wonders. But Charlie doesn’t really “say”. Not until he gets home, and writes letters to an unknown recipient. The person that “could have hooked up with that one person at that party that one time but didn’t”, whom Charlie says reassures him in that small act that there are okay people in the world. He recounts his experiences with first love, lust, drugs, friendship, fighting, and most importantly, “participating”. This compilation of letters makes up The Perks of Being a Wallflower, one of the most heart-wrenchingly honest accounts of what it’s like to see and not say; the tumultuous first year of high school of a wallflower. 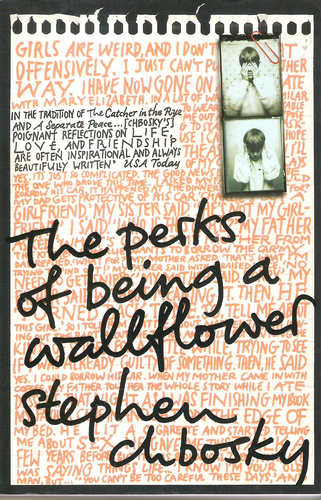 A short while after reading The Perks of Being a Wallflower, I saw in an interview that Stephen Cbosky, the author, received a fan letter once saying “The first time I ever felt loved was when I read this book”. I can’t say I’m unloved, so I can’t say that’s entirely true in my case. I also can’t say I have had as negative (and psychedelic) experiences as Charlie, so I can’t say I completely relate to the character himself. Yet, as I received Charlie’s letters in the pages of Chbosky’s novel (the summer before my own freshman year) I felt truly and completely understood, amazingly enough, by a book. The way Charlie describes his emotions when addressing the reader described some of my own emotions so well that is was actually a comfort to read. Teenagers often feel lonely in their experiences and emotions, and Charlie is a reassuring proof to everyone that reads his letters that they are, in fact, not alone. That’s what makes The Perks of Being a Wallflower one of the most influential books for teenagers of our generation; it acts as an infallibly honest and understanding companion for anyone who needs it. If you’re in the market for such a companion - a story of self-discovery, teenage angst and self-love, The Perks of Being a Wallflower is the book for you.